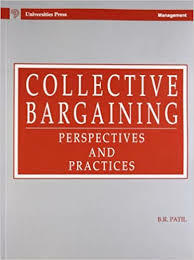 Collective Bargaining research papers analyze the negotiations between employers and workers to reach an agreement regarding working conditions. Collective bargaining refers to the process of negotiations between employers and workers with the aim of reaching an agreement regarding working conditions. In collective bargaining, employees are usually represented by a labor union. The term was first used in 1891 by Beatrice Webb, and has been recognized as a basic human right. In 1935, the United States made it illegal for employers to deny union rights to any employee. This landmark recognition of workers’ rights came after decades of strife. The National Labor Relations Act made it a crime for employers to discriminate, spy on, harass, or fire workers due to their efforts to form unions. Unions were also made exempt from anti-trust law because of the desire for their collective effort to earn higher wages for members. Union membership equalizes income distribution for members and, through the process of collective bargaining union members are generally able to earn more than non-unionized workers. Despite the gains made by labor in the second half of the nineteenth century through the middle of the twentieth century, many large American corporations, such as Wal-Mart, have resisted efforts to unionize their workforce. Collective bargaining would raise the base salary of Wal-Mart workers from an average of $8.81 an hour, which falls below the federal poverty standard for a 40-hour workweek. National Labor Relations Board Research Papers go into the functions of this type of board, and also a historical background. Collective Bargaining Union has been around as long as labor has been structured and continues today. Impact of Unions - In recent years, the vociferous call for sweeping collective bargaining privileges has begun to resound among many groups of industry professionals. Pepsi Company - Pepsi Company Research Papers provide a case study and comparison to Coca-Cola. Teachers Unions - Teachers Unions essays look into the unions that fight for the rights of teachers. National Labor Relations - National Labor Relations Board Research Papers go into the functions of this type of board, and also a historical background. Union–Free Organizations - Union–Free Organizations research projects discuses five major trends in employee relations today for non-unionized organizations. The Anthracite Coal Strike of 1902 - The Anthracite Coal Strike of 1902 lasted from May 12 until October 23 demonstrated both the growing power of labor in American industry and a greater willingness among elected officials to intervene in labor situations in order to reduce social turmoil. Paper Masters writes custom research papers on Collective Bargaining and analyze the process of negotiations between employers and workers with the aim of reaching an agreement regarding working conditions.